I remember on a cold dark Thanksgiving my freshman year of college, I had only heard the term “Black Friday” in passing and had not even entertained the thought of going out amongst hundreds of other desperate holiday shoppers. My oldest sister offered to take me out to get some new pants at our tiny mall less than ten miles away from our house. Young me heard free clothes and was sold instantly. Oh…what a mistake that was. On a typical Thursday night, our sleepy little mall hardly bustled. It didn’t even peep most of the time. When I went in there on Black Friday, I was not remotely prepared for how crazy the consumer-fueled holiday could be. I was shoved. I felt sick from the lack of room and increased amount of people. Heck, I even had a melt down in the dressing room when I finally got in because I had the wrong pants size and was horrified of going out into the fray again to find another size and wait in line all over again. We didn’t even end up getting anything and went home after about an hour or so. With that fun glimpse into my early college years, I’ll segway right into the reasons you should just take a time out on Black Friday and instead enjoy the lull of your turkey food baby. 1. You could be using that time to get some much-needed sleep. 2. Often times, you have to skip out on holiday festivities to even get a good spot in line. When I went shopping with my sister or my friends a few times over the years, we often had to leave quality time with our families several hours early. While everyone would still be cozy at home watching Thanksgiving television specials or having fun, I would be shivering out in a parking lot outside a store or dodging my way through malls. By shoving off family or friend quality time to engage in this activity, it’s just another way we’re letting consumerism drive holidays in America. 3. The deals aren’t even that good. There, I said it. I’ve been to Black Friday for three years in a row, and this year, I’m swearing off it. Honestly, I haven’t seen a deal even worth pushing my way through crowds for. Oh wow, I can get a free item if I spend a handful of money? I understand I’m getting thirteen dollars worth of product for ten, but really? Who cares? There are plenty of discounts and sales I could indulge in that may even be better than Black Friday sales. The difference is I won’t be battling for my life or extremely stressed while doing it. 4. This event brings out the nasty side of people, and it’s stressful and just bad mojo. During Black Friday, I’ve seen fights in lines (which are often more than an hour wait), fights over products, fights in parking lot, etc. 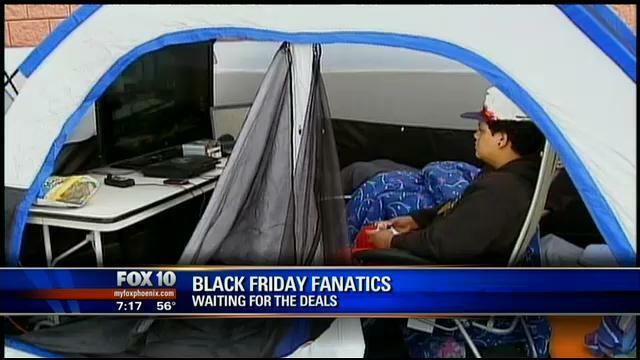 Case in point: I’ve seen things get ugly far too often on Black Friday. People, you are fighting over a pair of shoes or a set of bath towels. What is the point? It never fails to make me feel bad. Also, I cannot stand how people treat those who work in retail on days like these. Someone had to work those days, and I can bet they didn’t want to nor do they enjoy it. They are trying to do their best for the public, but the public responds by throwing a hissy fit when they can’t scan a gift just a tiny bit faster. If you can’t be nice, stay out of the department store. 5. Two words: Cyber Monday. This. This is my heaven sent. I can do all my shopping from the safety of my home, on my own time and not miss a thing over Thanksgiving break. Plus, it’s so much easier to search and find exactly what you want. If you’re spending your break in smaller towns like I do, you’ll know they don’t often have the same stock that bigger cities for will have. Cyber Monday is the reason I can find specialty gifts for my boyfriend and family. While there is the extra cost of shipping, at least I will know I won’t either have to punch someone or get punched out in order to get it. Bless the Internet.